I know I promised some home update posts forever ago, but I hope y'all will forgive me on the tardiness of that! I haven't been here, so it is taking a LOT longer to get things done. I promise.. before the end of the month, I'm going to try to have at least one home update post up! My fellow homeowners know, especially first time, it's super hard trying to decorate because it feels more permanent so I'm THAT MUCH MORE picky! Anyway, I've already bought more stuff for the house and I haven't even been home 48 hours, so believe me, the posts are coming, haha! I shot this look while I was still in Illinois and I absolutely LOVE how it turned out. Mixing patterns and color shades has become one of my favorite things to do. 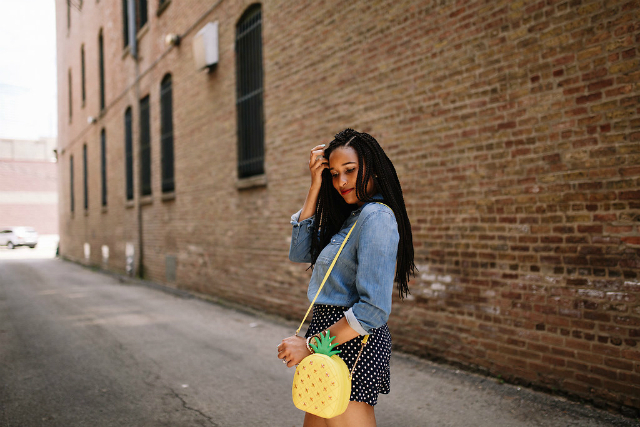 I've had these polka dot shorts for what seems like forever. I think I got them at Zara a few years back and I've worn them all different ways, but this one is definitely a favorite. 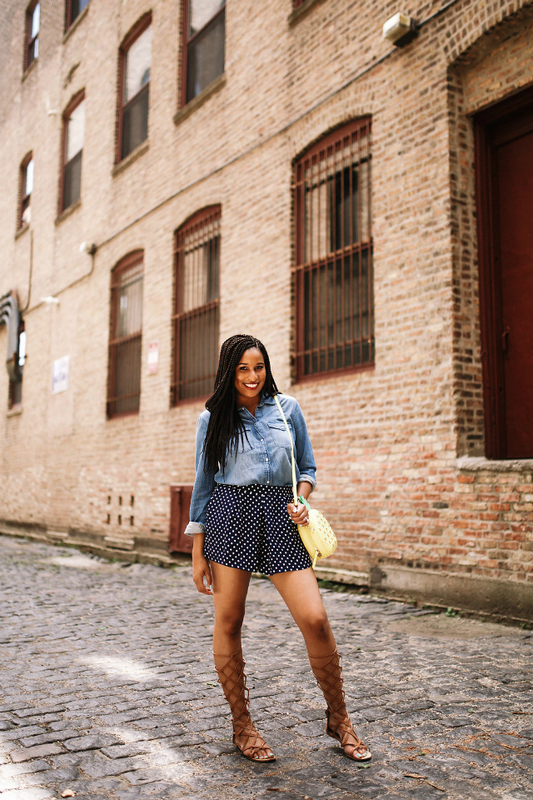 I love how denim shirts can pretty much be worn in all four seasons. 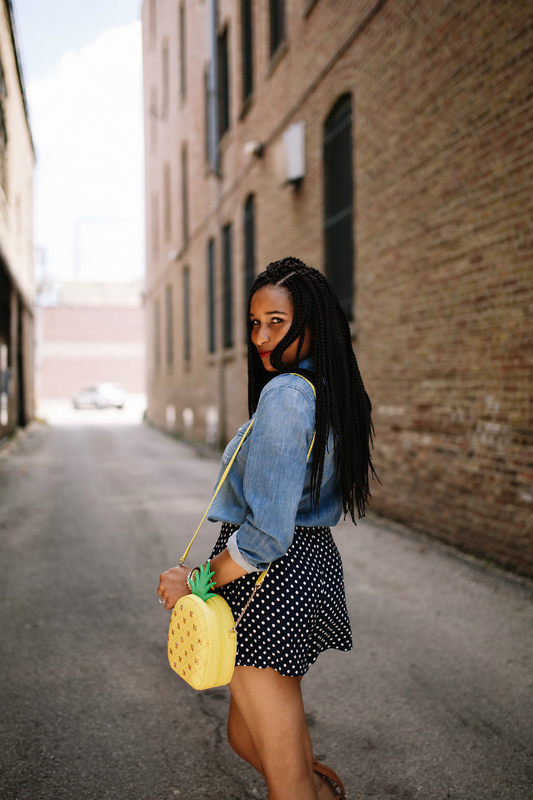 Also, still swooning over my Kate Spade pineapple bag! Would it be weird if I carried it in the fall/winter months because I love it that much! That bag is too cute!!! 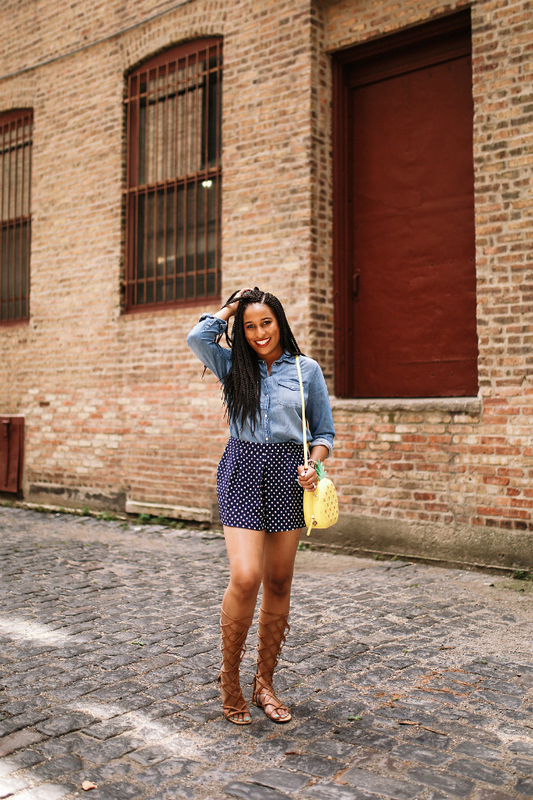 Polka Dots are my favorite print and this skirt is just too cute! that pineapple bag is so fun! 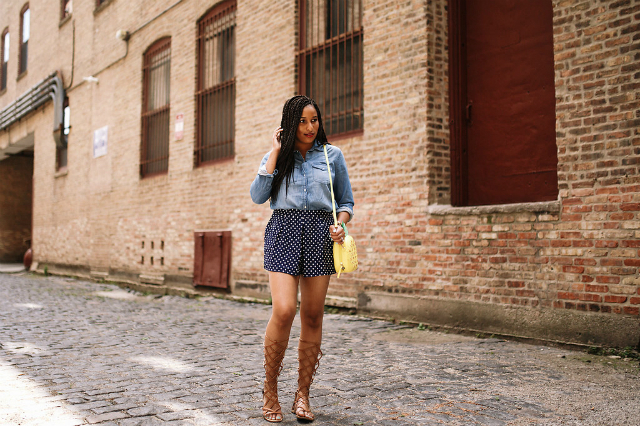 Love the edgy and girly mix of the sandals and polka dots! That is the perfect summer bag! You are so adorable girl! Those shoes are amazing girl. That bag is so cute! And I love your shoes! 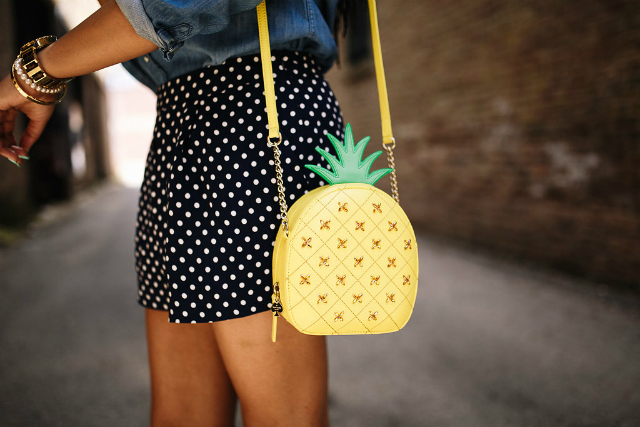 I am SO obsessed with that pineapple bag! Seriously the cutest. Loving those gladiator sandals, too! That's a surprising combination that turned out great!